Saturday, April 7 at 8 p.m.
Sunday, April 8 at 2 p.m.
Friday, April 13 at 8 p.m.
Saturday, April 14 at 8 p.m.
Florida examines how different people foster, embrace, and rebel against the claustrophobia of contemporary American society, and illustrates the complexities and corruption of our legal system through a tour-de-force of rhythmic delight and vocal virtuosity. By looking at one girl, in one summer, Florida brings to light how teenage girls in general become suspect due to their sexuality. 110 minutes long including one intermission; an audience talk-back will follow each performance. UrbanArias’ production of Florida is sponsored by a very generous gift from the Ted and Mary Jo Shen Charitable Gift Fund. Parental Advisory: Florida contains mature references, and may not be suitable for young children. Florida is the story of a teenage girl named for the scent of gardenias. It is the story of a summer vacation and the murder of Florida’s mother during that vacation. A piece that investigates community mores, it follows Florida as she tries to negotiate the demands of her mother, her boyfriend Marc, and her own desire all under the watchful eyes of The Redwoods, her next-door-neighbors who see all from their backyard deck. 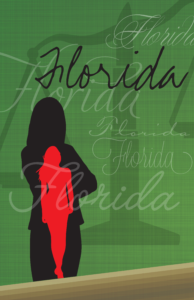 As summer approaches, heated conflicts reach a fever pitch: Florida is sent away and Marc murders Florida’s mother. Although Marc confesses, Florida is wrongfully charged with matricide. A darkly comic, highly-stylized opera, Florida follows one young woman, one summer to bring to light how teenage girls become suspect due to their sexuality. Greek American Soprano Sharin Apostolou has been enjoying a career in both opera and musical theater. Recent debuts have included New York City Opera in La Campana Sommersa and a return to workshop Ted Rosenthal’s jazz opera Dear Erich, The Center for Contemporary Opera in Andreissen’s Odysseus’ Women/Anaïs Nin, Opera Southwest as Jemmy in Guillaume Tell, and with the Knoxville Symphony. 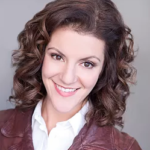 She recently created the soprano version of Nell Gwynn in Carlisle Floyd’s Prince of Players with The Little Opera Theater of New York and workshopped Matt Aucoin’s Crossing with American Repertory Theater. 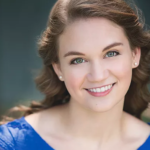 She has spent the last three summers at Charlottesville Opera performing Eliza Doolittle in My Fair Lady, Nellie Forbush in South Pacific, and Ado Annie in Oklahoma! Other performances include Carrie Pipperidge in Carousel and Guenevere in Camelot with The Glimmerglass Festival, Valencienne in The Merry Widow with both Utah Opera and Pensacola Opera, Almirena in Rinaldo with Portland Opera, and Yum-Yum in The Mikado with Anchorage Opera. Described as, “enthralling” (Opera News), Nancy Allen Lundy has earned critical acclaim for her unique vocal beauty, skillful musicianship and theatrical prowess in a variety of classical and contemporary styles. Engagements with opera companies and festivals include Teatro alla Scala (Milan), English National Opera, Netherlands Opera, New York City Opera, Houston Grand Opera, Washington Opera, Cincinnati Opera, Opera Company of Philadelphia, Hawaii Opera Theater, Minnesota Opera, Opera Theatre of St. Louis, Portland Opera, Spoleto, USA, Teatro Municipal de Santiago (Chile), Bregenzer Festspiele (Austria), Festival Euro Mediterraneo (Rome) Opera de Lyon, and Suntory Hall (Tokyo). Her operatic repertoire encompasses more than thirty roles, of which she has earned particular acclaim for her portrayals of Curley’s Wife in Of Mice and Men, Gilda in Rigoletto, Musetta in La Bohème, Anne Trulove in The Rake’s Progress, Sophie in Der Rosenkavalier, the title role in Lucia di Lammermoor, Rosina in Il Barbiere di Siviglia, and Cundegonde in Candide, to name a few. Oscar-winning composer Tan Dun began writing for Ms. Lundy following her success in his Peony Pavilion, directed by Peter Sellars at London’s Barbican Center with subsequent performances in Rome and Paris. With her skills in mind, Tan Dun scored the role of Juliet in his Orchestral Theater IV: The Gate, which she premiered with the NHK Symphony Orchestra (Tokyo). She has sung The Gate and Orchestral Theater III: Red Forecast with the Vienna Radio Symphony Orchestra, London’s BBC Symphony Orchestra, St. Paul Chamber Orchestra, Munich Philharmonic, as well as with orchestras in Lyon, Paris, Shanghai, Lisbon, Sapporo (Pacific Music Festival), and New York (Brooklyn Academy of Music). 2002 saw the world premiere in Tokyo of Tan Dun’s Tea for which Ms. Lundy created the role of Lan under the direction of Pierre Audi, a production which was later reprised in Amsterdam. She has sung Tea in Stockholm with the Royal Philharmonic, with Vancouver Opera, and in a concert version at Teatro Carlo Felice (Genova), Lawrence Renes conducting. In the spring of 2010, She returned to Netherlands Opera to create the role of Zina in the world premiere of A Dog’s Heart, Simon McBurney directing, with subsequent performances at English National Opera, Opera de Lyon, and Teatro alla Scala. 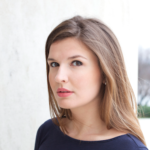 Other contemporary opera roles she has interpreted include Claire in the American premiere of Peter Bengtson’s The Maids, Caroline Gaines in Richard Danielpour’s Margaret Garner, Pat Nixon in Nixon in China, Singer #1 in Conrad Susa’s Transformations, Water in Tan Dun’s Marco Polo, and Maya in Robert Paterson’s one act opera, The Companion with American Opera Projects (NYC). 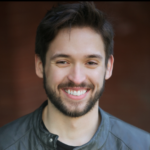 Bass-baritone Ethan Lee Greene is an emerging artist in the Washington, D.C. Metropolitan area. He is originally from Hamlet N.C. Mr. Greene has had the opportunity to perform in numerous opera roles, including Figaro in Le Nozze di Figaro, Don Magnifico in La Cenerentola, Pirate King in Pirates of Penzance, Jupiter in Orphée aux enfers, Don Alfonso in Cosi fan tutte, Don Parmenione in Loccasione fa il ladro, and fauteuil and bergère in L’enfant et les sortilèges. Along with performing Sarastro and Prince Gremin with Bel Cantanti this season, he just performed Friedrich Bhaer in Annapolis Opera’s Little Women. 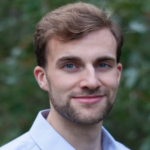 Mr. Greene received his Bachelor’s degree in Vocal Performance from Wingate University and received his Master of Music in Opera Performance in the Maryland Opera Studio at University of Maryland, College Park. He recently placed first in the Metropolitan Opera National Council District Auditions and first in the Carolina Opera Guild vocal competition. Mr. Greene is making his Urban Arias debut singing the role of Male Redwood in Randall Eng’s Florida. Hannah Meredith Hagerty is a native of Washington DC. Her repertoire includes the roles of Gertud in Hänsel und Gretel, Nancy in Albert Herring, Hermia in A Midsummer Night’s Dream, Suzy in La Rondine, and Sesto in Giulio Cesare. Hannah completed her undergraduate degree at Oberlin Conservatory where she studied with Daune Mahy. While at Oberlin, Hannah performed the role of Nancy in Albert Herring and Gertrud in Hänsel und Gretel. She also performed in a Marilyn Horne masterclass as apart of The Artist Recital Series at Oberlin Conservatory. Hannah has participated as a Gerdine young artist with Opera Theatre of Saint Louis for their 2014 and 2015 seasons. During the 2015 season she performed the role of Suzy in La Rondine. During the 2016 season, she was a young artist with The Glimmerglass Festival and performed the role of Ernestina in Rossini’s one act opera, L’occasione fa il ladro. She was an apprentice singer with The Santa Fe Opera during their 2017 season, and covered the role of Bradamante in Alcina. Hannah completed her M.M at Rice University’s Shepherd School of Music where she studied with Julie Simson. While attending Rice, Hannah sang the role of Hermia in A Midsummer Night’s Dream, and Sesto in Giulio Cesare. She also participated in the scenes program where she sang Romeo in I Capuleti e i Montecchi, Isolier in Le Comte Ory, and Octavian in Der Rosenkavalier. Hannah had the privilege of singing Cherubino’s arias from Le Nozze di Figaro with Rice University’s Campanile Orchestra. Young tenor Ian McEuen has been praised for his versatility as a performer, impressing audiences with his “sweet lyric tone” and “gravitas on the stage,“ as well as his ability to evoke laughter “just for walking across the stage.” Mr. McEuen began the 2016-17 season with his role and company debuts as Oliver Sacks in the UrbanArias production of The Man who Mistook his Wife for a Hat. In a turn of events rare in the opera world, he immediately reprised the role in a new production with Quantum Theatre. Most recently, he made his role and house debuts as Tobias Ragg in Sweeney Todd with New Orleans Opera. Next, Mr. McEuen will appear as Pang for his company and role debuts in Virginia Opera’s Turandot. He will finish the season with his Kennedy Center Opera House debut as Goro in Jun Kaneko’s production of Madame Butterfly at Washington National Opera. After making his professional operatic debut in Fort Worth Opera’s production of Mark Adamo’s Lysistrata in 2012, Mr. McEuen joined the company as a Studio Artist for two seasons. During his time with the company, Mr. McEuen sang Der Tanzmeister in Ariadne auf Naxos, Padre Antonio in the professional premiere of With Blood, with Ink, and Figaro in the world premiere of Figaro and the Zombie Apocalypse. He also performed various roles in the company’s groundbreaking Frontiers programs. In November 2013, he created the roles of the Hippo and Holy Man in the world premiere of Jeanine Tesori and J.D. McClatchy’s The Lion, the Unicorn and Me for his debut at Washington National Opera. The following summer, he returned for his second season as a Young Artist at the Glimmerglass Festival, where sang Goro in Francesca Zambello’s production of Madame Butterfly. In the 2014-2015 season, Mr. McEuen joined the roster of the Metropolitan Opera, covering St. Brioche in a new production of The Merry Widow directed by Susan Stroman. He continued 2015 singing Monostatos in Die Zauberflöte for his debut with Arizona Opera. Hailing from Annapolis, Maryland, soprano Katherine Riddle is a crossover singer/actor who has performed in theaters, opera houses and concert halls across the United States and abroad. Most recently, Katherine joined the cast of the widely celebrated and Broadway aimed production of The Secret Garden at Shakespeare Theatre Company directed by David Armstrong in partnership with Seattle’s 5th Avenue Theatre starring the original Mary Lennox and Tony-award winner, Daisy Eagan. Next up, she will be performing in Rodgers and Hammerstein’s A Grand Night for Singing with NextStop Theatre Company in Herdon, VA. Earlier this season, she performed in South Pacific with Annapolis Opera and will return for Madama Butterfly this spring. Additionally, her solo concert Rodgers, Rodgers and Guettel will be featured throughout the DC metro area this year. As a 2016 Young Artist at the prestigious Glimmerglass Festival led by Francesca Zambello and Michael Heaston , Katherine had the opportunity to perform a new production of Sweeney Todd for Stephen Sondheim directed by Christopher Alden. She was also featured as a can-can dancer in Glimmerglass’ production of La bohéme directed by Loren Meeker, and well as a soloist in second stage productions of For the Birds and Perfect Pitch. Other selected theater credits include: Fiona in Brigadoon (DC Metro Theatre Arts, Best Actress in a Musical), Cosette in Les Misérables , Laurey in Oklahoma (Broadwayworld Best Actress in a Musical nomination, and Rapunzel (Cinderella u/s) in Into the Woods. Conductor Robert Wood founded UrbanArias in 2009. Under his guidance, the company has achieved national recognition as an innovator in the field of opera, and has given over 90 performances in Arlingon, DC, and New York City. He has conducted UrbanArias’ productions of Independence Eve (Boquiren), As One (Kaminsky), The Man Who Mistook His Wife for a Hat (Nyman), After Life, Josephine, and Glory Denied (Cipullo), Before Breakfast (Pasatieri), Blue Viola and The Filthy Habit (Hilliard), Paul’s Case (Spears), and Three Decembers (Heggie). Maestro Wood made his debut with the San Francisco Opera in 2004 with Verdi’s La traviata, and has also conducted L’italiana in Algeri and several concerts there.. 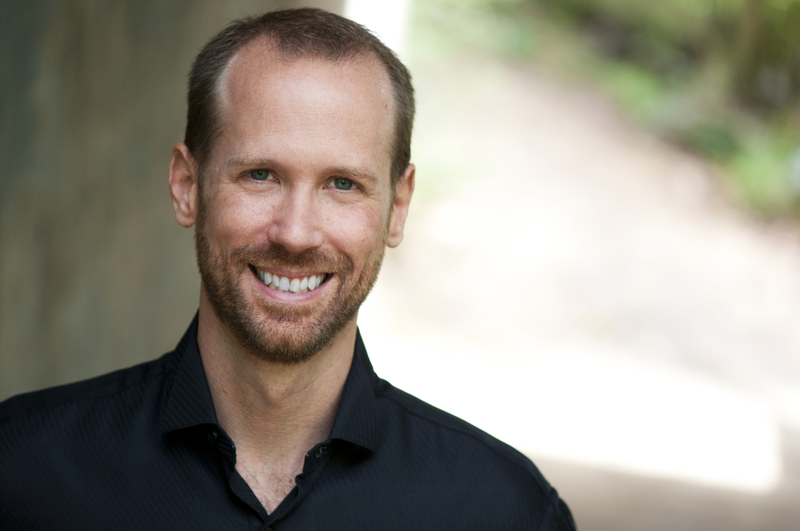 He recently conducted Orpheus and Euridice at the Vermont Opera Project, Three Decembers at Kentucky Opera, Die Fledermaus at Hawaii Opera Theater, and Roméo et Juliette and Carmen at Opera Colorado. Maestro Wood returns to Hawaii to conduct As One with the original cast in January 2018, and will conduct the same opera at Lyric Opera of Kansas City later that month. Mr. Wood was appointed Conductor in Residence at the Minnesota Opera from 2006-2008, leading productions of L’italiana in Algeri, Le nozze di Figaro, La donna del lago, Rusalka, and Il barbiere di Siviglia. Mr. Wood has also conducted L’italiana in Algeri at Vancouver Opera, Die Entführung aus dem Serail for Hawaii Opera Theater, The Love for Three Oranges at Indiana University Opera Theater, La cenerentola at Opera New Jersey, and The Nutcracker for San Francisco Ballet. Mr. Wood’s collaborations with the Wolf Trap Opera Company include Le Comte Ory and Die Zauberflöte. Kevin Newbury is a theatre, opera, film and event director based in New York City. Kevin has directed over sixty original productions and his work has been presented by many opera companies, festivals and symphonies including the Park Avenue Armory, Carnegie Hall, The Kennedy Center, San Francisco Opera, Lyric Opera of Chicago, Houston Grand Opera, The Santa Fe Opera, Barcelona Liceu, Opera Theatre of St. Louis, Minnesota Opera, The San Francisco Symphony, L’Opera de Montreal, The Prototype Festival, Urban Arias (DC), Bard Summerscape, Portland Opera, Opera Philadelphia, Philadelphia Orchestra, Seattle Opera, Glimmerglass Opera, Cincinnati Opera, The Virginia Arts Festival and The Wexford Festival in Ireland, among many others. Kevin is especially committed to developing and directing new work. He has directed over two dozen world premiere operas and plays, many of which were subsequently published or recorded. Recent world premiere highlights include Spears/Pierce’s FELLOW TRAVELERS (Cincinnati Opera, New York Times Best of 2016), Todd Almond’s KANSAS CITY CHOIR BOY (starring Almond and Courtney Love, seen at Prototype/NYC, American Repertory Theatre/Boston, CTG/LA, Arscht/Maimi), Spears/Vavrek’s O COLUMBIA (Houston Grand Opera), Puts/Campbell’s THE MANCHURIAN CANDIDATE and Cuomo/Shanley’s DOUBT (Minnesota Opera), and Lopez/Cruz’s BEL CANTO (Lyric Opera of Chicago, broadcast on PBS’ Great Performances and recently nominated for the 2016 International Opera Awards: Best World Premiere). Kevin’s production of VIRGINIA for the Wexford opera festival won the 2010 Irish Times Theatre Award for Best New Opera Production and his production of OSCAR for Opera Philadelphia and Santa Fe Opera was nominated for Best World Premiere at the International Opera Awards in 2014. His work has also been nominated for a Grammy Award (BERNSTEIN’S MASS with Marin Alsop, also named “one of the best events of the year” by The New York Times and The Washington Post), a Drama Desk Award (Best Actor: Vince Gatton, CANDY & DOROTHY) and the GLAAD Media Award (Winner: CANDY & DOROTHY, Nominated KISS AND CRY). Kevin’s first two short films, MONSURA IS WAITING and STAG, have screened at a total of forty film festivals and have each won festival awards. MONSURA IS WAITING is available on iTunes and STAG will be released in late 2016. His third, EPIPHANY V, a music video collaboration with Jimmy Lopez and David Johnson, will be released in 2017. Randall Eng’s music lies at the intersection of opera, music-theatre, and jazz. Florida, his first opera, was developed at Lyric Opera Cleveland, New York City Opera’s VOX Festival, and the Public Theater. His second opera Henry’s Wife (with librettist Alexis Bernier) has been presented by the Center for Contemporary Opera, American Opera Projects, the Virginia Arts Festival, and Manhattan School of Music. His latest collaboration with Donna Di Novelli is Before the Night Sky. A contemporary re-telling of the Greek myth of Castor and Pollux collided with the stories of their twin sisters Helen of Troy and Clytemnestra, Before the Night Sky was featured at Opera America’s New Opera Showcase in 2017. Randall’s other dramatic works include The Dangers of Electric Lighting (Luna Stage), Usher, Falling (Opera Vindaloo Festival), and the video opera The Woman in the Green Coat (Edinburgh Fringe Festival). Non-theatrical works include commissions for Albany Symphony Orchestra’s Dogs of Desire, Mirror Visions Ensemble, and Composer’s Voice. Randall’s choral work Remain, a setting of a “Know Your Rights” pamphlet giving advice to immigrants, premieres on March 7th by MasterVoices at Cooper Union in NYC. 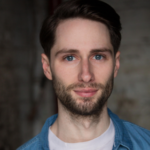 Randall is a graduate of Harvard University, Cambridge University, and NYU/Tisch’s Graduate Musical Theatre Writing Program, where he is now an Associate Arts Professor and runs the GMTWP Opera Lab. Donna Di Novelli has a writing career that spans film, opera, music-theater and stage. Di Novelli recently attended the 2018 Sundance Film Festival as the co-writer of Madeline’s Madeline, directed by Josephine Decker and lauded as a ‘masterpiece’. She conceived and wrote The Good Swimmer, a Pop Requiem with music by Heidi Rodewald 2016, Prototype Festival, and scheduled for a world premiere in 2018; text for Paola Prestini’s Oceanic Verses 2012, Kennedy Center, Barbican Centre; and libretto for the San Francisco Opera commissioned, Heart of a Soldier (2011) music by Grammy-nominated Christopher Theofanidis. She has collaborated with Oscar winner, Rachel Portman, Francesca Zambello and is at work on a new opera with composer, Stewart Wallace (The Bonesetter’s Daughter, Harvey Milk). As a screenwriter, she penned the award-winning short film, Stag (2015) directed by Kevin Newbury and available on iTunes. She and her long-time collaborator, Randall Eng are working on a new opera, Before the Night Sky, a contemporary adaptation of the Gemini twins, featured in excerpts at Opera America’s New Works Forum, January 2017. She has won fellowships from the MacDowell Colony, UCross, and The Rockefeller Foundation Center at Bellagio. Andrew Boyce is an NYC and Chicago based designer, working in a variety of disciplines on projects ranging from theater, opera, and live events, to film and commercial spaces. A native Californian, Andrew received his B.A. from Middlebury College with a degree in architecture, and his M.F.A. from Yale School of Drama. He has participated in the Lincoln Center Directors Lab, is a member of the Wingspace Design Collective, and is currently the Assistant Professor of Set Design at Northwestern University. Andrew has designed the sets and/or costumes for the world premieres of: Sam Hunter’s Clarkston (Dallas Theater Center); Jose Rivera’s Another Word For Beauty (Goodman Theatre); Craig Lucas’s Ode to Joy (Rattlestick); Sharr White’s Annapurna (Magic Theatre); Jonathan Tolin’s Buyer & Cellar (Rattlestick); Adam Rapp’s Dreams of Flying, Dreams of Falling (Atlantic Theatre Company); Heidi Shrek’s The Consultant (Long Wharf Theatre); Marco Ramirez’s The Royale (Kirk Douglas); Taylor Mac’s The Lily’s Revenge (Magic Theatre); Mike Lew’s Bike America (The Alliance); Ethan Lipton’s Red Handed Otter (Playwrights Realm); among many others. Some selected upcoming work includes the world premieres of Boo Killebrew’s LETTIE, at Victory Gardens, Mark Shultz’s Evocation To Visible Appearance, and Deborah Stein’s Marginal Loss – both as part of the Humana Festival at Actors Theater of Louisville. In Opera, is designing a new production of Barber of Seville, for Kentucky Opera, and the world premieres of FLORIDA, at Urban Arias; and American Soldier at Opera Theater of St. Louis. Abigail Hoke-Brady is a New York based lighting designer. Recent projects include ‘The Wolves’ at Williams College, ‘Glory Denied’ with Tri Cities Opera, ‘This Takes Place Close By’ at the Knockdown Center with ThingNY, ‘Avalanche 19’ with Gregory Dolbashian, ‘The Untold Yippie Project’ with Sunglasses After Dark, and NY Times Critic’s Pick ‘Bears in Space’ at 59e59 with Collapsing Horse. 2017 recipient of the Robert L.B. Tobin Director-Designer Grant through Opera America. David C. Woolard has designed costumes at most of the major theatres in America as well as for productions all over the world. He has dressed many personalities including Jane Fonda, Betty Buckley, Liz Mikel, Quentin Tarantino and Billy Crystal among others. Broadway credits include BRONX BOMBERS, FIRST DATE, LYSISTRATA JONES, WEST SIDE STORY, Jane Fonda’s clothing for 33 VARIATIONS, DIVIDING THE ESTATE, THE FARNSWORTH INVENTION, RING OF FIRE, ALL SHOOK UP, THE ROCKY HORROR SHOW (2001 Tony Award nomination) VOICES IN THE DARK, THE WHO’S TOMMY (1993 Tony and Olivier Award nominations) BELLS ARE RINGING, MARLENE, WAIT UNTIL DARK, Horton Foote’s THE YOUNG MAN FROM ATLANTA, DAMN YANKEES, A FEW GOOD MEN. He is well known in the Opera world as well having designed numerous world premiers including COLD MOUNTAIN at Santa Fe Opera, EVEREST at Dallas Opera, DEATH AND THE POWERS at Opera De Monte Carlo. And OSCAR at Santa Fe Opera and Philadelphia Opera Company.